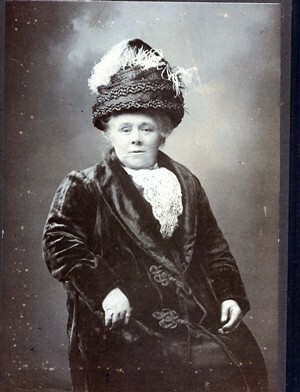 The first photograph is of Jane Bennett (nee Harefield) she was married to Robert Edwin Bennett. I am unable to track his photograph although a very large photograph of both hung on the parlour wall, he had a large moustache wearing a military uniform. I am sure one must exist somewhere. I understand that he was in charge of the Newhaven Territorial Army and the Fire Brigade. He had a sword and a german silver fireman's helmet. Ordinary firemen wore brass, unfortunately these items went as scrap metal, together with most front metal railings during WW2. I remember the iron railings on everyone's house being removed with chisels and acetylene torches. To the best of my knowledge they lived initially in Meeching Road, not sure of the dates. I've just found on my mother's birth certificate a registration at 23 High Street in 1891: in 1927 or earlier they moved to 2a Newfield Road. This house was built for my grandfather, it had a conservatory, an orchard of mixed fruits, a chicken run along the top and to the right my grandfather's fully equipped engineer/smithy workshop. His main workshop was the west side of the river about 200 metres from the bridge, the roof was corrugated iron, not sure about the walls. He did work for the fishermen and all forms of engineering including plumbing, blacksmith even leaded lights. Up until the 1950/60 it was a cafe. Both boys were apprenticed to their father. Robert:- Married Elizabeth Howell. She was the daughter of the shoe repairer with a shop in Chapel Street. This did not meet with his father's approval, class distinction. He left his father took a job in Lewes and bought a house 18 Morris Road, in The Cliff area. His father did not speak to him for about four years. A new daughter (Doris) arrived and his father appeared on his door step with a bouquet of flowers. Robert was gassed in WW1 but lived until he was in his sixties. Doris:- Never married. 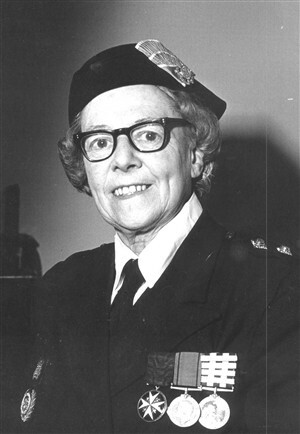 She taught at Lewes High School until she retired and was also a prominent member of St John's Ambulance and drove the ambulance. 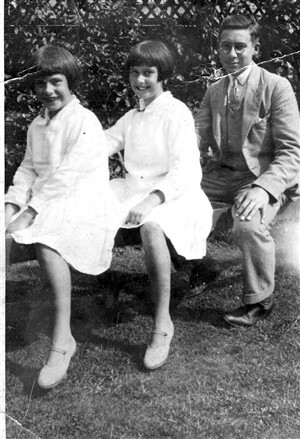 Mabel and Bertha never married or worked and continued living at Newfield Road until death. I think this was because in the Victorian era it was not considered correct for ladies to work, but I was told they worked during the war in munitions factory, assembling grenades. Ladies were expected to get married. 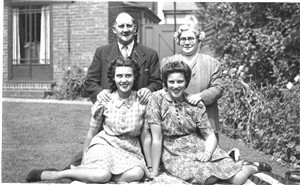 Beattie:- Married Leslie Lea a Seaford butcher. 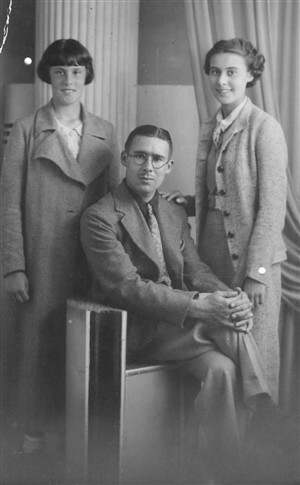 They had two daughters and a son, Peggy, Gwenneth and Robert. They seemed to be the wealthiest of the family. 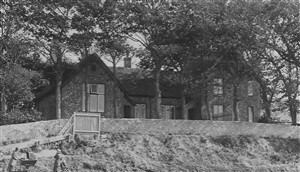 They owned a large house in Seaford with a large garden and all the children went to private school. Each room had a bell push wih a bell and indicator flags in the kitchen for the maid. As a small boy I remember pushing the bell pushes and running to the kitchen to view the flags. They had a large car and my uncle used to wear a topper and tails when he went racing. They also had electricity and a multi waveband radio. My uncle used to let me listen to Australia starting the day with the sound of the kukooboro on the short wave. The butcher's shop is still on the corner ofBroad Street Seaford. It is still a butcher called Walbrin. He had his own slaughter house nearby and use to carry out his own slaughter and meat preparation. His wife my Aunt Beattie and cousin Bob both worked in the shop with other staff. Bob preparing meat and Beattie in the cashier's cubicle. On the wall behind the counter hung a humane killer and a pistol, used for slaughter. I've been in the shop and seen Bob take one of the weapons to the slaughter house to use. All his children married during WW2. Peggy married a Scotsman and Gwen a Canadian,Gwen is about 92 and today living in USA. Bob served in the RASC with his marriage ending in a divorce. 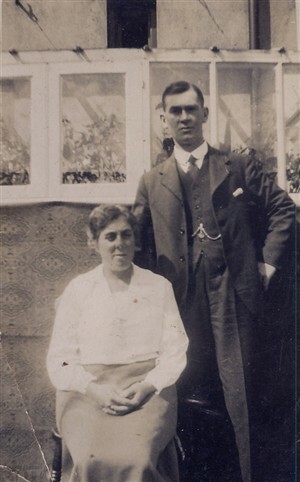 Maud Ada:- My mother, married Robert Shead Oakley and lived all her life at 58 Lawes Avenue. She was the youngest of the family, fashions had changed and she was able to work. She was a school teacher at Denton School. She taught Ralph Reader the gang show producer. I was her only child that lived. My father died when I was only two years old, from severe inflammation of the kidneys, caused by working up to his waist, in the cold harbour water in December. I can clearly remember the ambulance collecting him and taking him to the Royal Sussex County Hospital in Brighton. I started infant school when I was 4 in the junior school at the end of South Road just down the hill from the police station. Before the war Walls 'STOP ME AND BUY ONE' tricycle stood outside, in hope parents would buy their children an ice cream after school. At eleven I was sent to the senior school, which stood at the end of the Bay Vue Road end of Meeching Road. children stayed there until leaving unless they passed the 11+ tor Lewes Grammar. Due to the death of my father I was sponsored by his Newhaven Masonic Lodge 'Homstreu' to attend the Royal Masonic School Bushey. I took an exam in Brighton when I was seven and a half and started on 29th April 1941, age 8. Arriving at Victoria we could see the early bomb damage. there I finished my education. If I remember correctly Mr. Lapear was the main masonic contact. I think he was school master and member of the town council. Not sure of the spelling. I'll start a another page under my name with memories of growing up, in Newhaven, from 1933 onwards together with information obtained from my relatives. This page was added by John Oakley on 24/08/2015. Having lived in Denton from about 1956 till 1971 I was interested to see the photograph of Denton school. I can't think where it was, is the building still there? Yes Terry it is still there situated in Denton Road, past the flint cottages, now a private residence. John's quite correct, it's still there. The only problem is that the photo here is not of Denton School, but rather of the old South Heighton Village School which closed in 1969 and is now South Heighton Village Hall. Click on link below for a another old picture c1970 and a brief history of the building. It would have been Heighton on the old Lewes Road. I wasn't sure thanks for the info. Interested to hear the school closed in 1969 and is now the Village Hall. I thought it closed before and became the home of an artist.